Last Year’s Event Sold Out. Purchase Your Tickets Early. 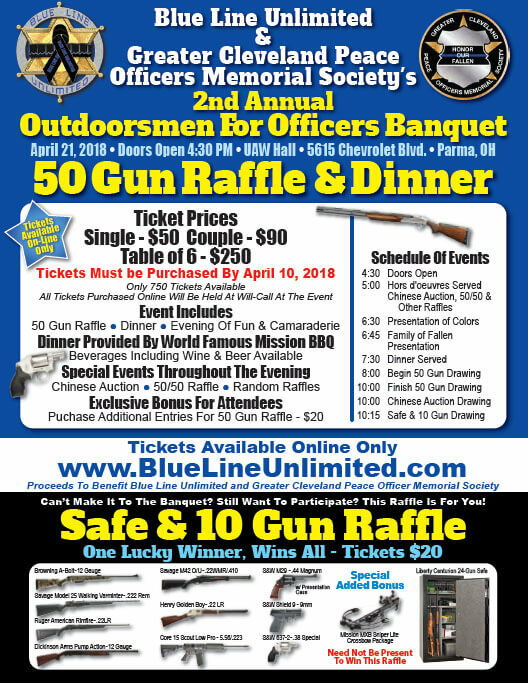 Blue Line Unlimited and the Greater Cleveland Peace Officers Memorial Society are pleased to present the 2nd Annual Outdoorsmen for Officers Banquet at the UAW Hall in Parma. 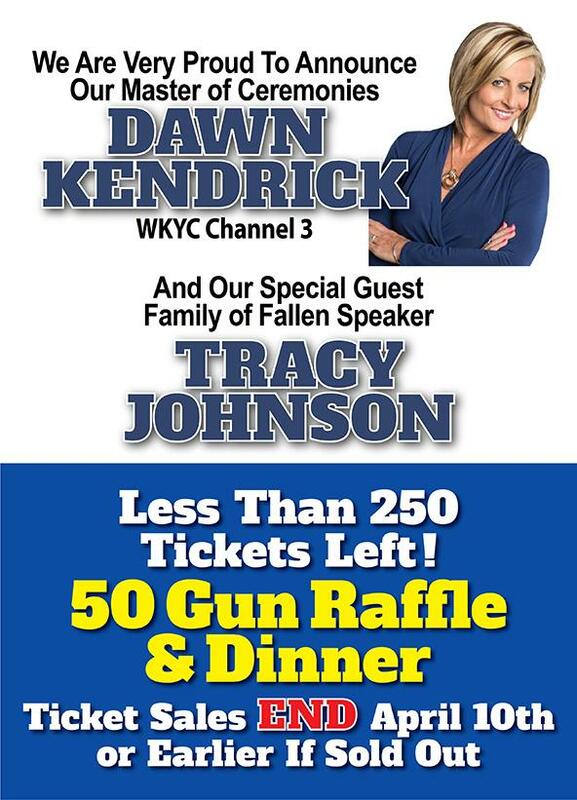 This includes a 50 gun raffle and dinner, hors d’oeuvres, Chinese and 50/50 raffles, presentation of colors and more. Dinner is provided by World Famous Mission BBQ, and wine and beer are available. Get your tickets now; only 750 available and the due date for purchasing tickets is April 10, 2018. Tickets: $50 – Single; $90 – Couple; Table of 6 – $250. Tickets are available online only at www.bluelineunlimited.com! 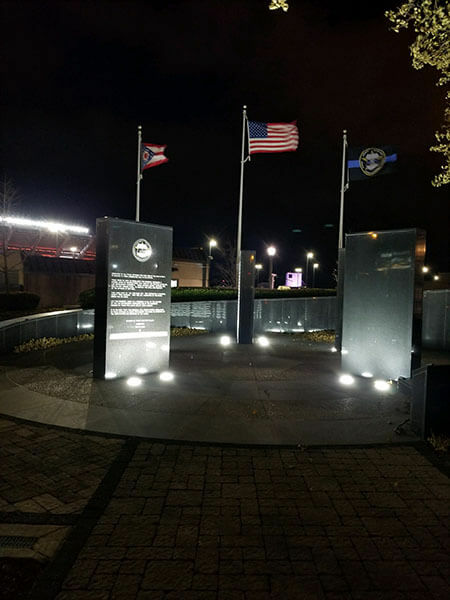 Proceeds benefit Blue Line Unlimited and Greater Cleveland Peace Officers Memorial Society. Additional info on this flyer – and spread the word!